We Want a Pet But What is the Best Dog for a Family In 2018? For every individual who has been considering a pet, a dog is a logical choice. Dogs are known as "man's best friend" and they get us out of the house because they need a walk everyday. However, choosing a dog to have as a pet when you are an individual is different from choosing a pet dog as a couple. And choosing a pet dog as a family is another thing entirely. #​1 Does the dog breed generally get along well with children? #2 Does the house fit children and a dog? #3 Do you need a specific breed of dog for your children? This is so because dogs all have different temperaments, as to humans. But understanding what is the best dog for a family can be very important, because children can impact what sort of dog is going to be happiest living in a home with young ones. Does the dog breed generally get along well with children? 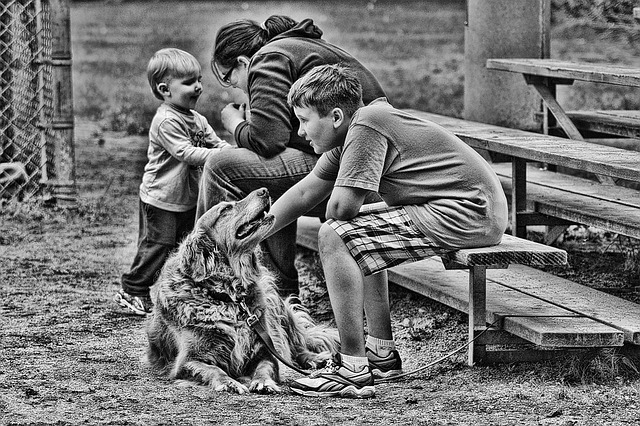 Certain dog breeds get along splendidly with children (such as retrievers which are good around children and are very energetic) while other dogs do not. Making sure that a dog is selected who will be just as happy at home with children as the children will be with him is very important. After all, a dog who is constantly anxious and stressed out about being around children constantly is going to have more health problems and be less friendly than dog who is comfortable in a chaotic child-filled environment. Does the house fit children and a dog? A home that is crammed with children and parents can feel very cramped but liveable. Add in a dog that requires a lot of room to run around, and you could be facing a very chaotic household. If your home does not have a yard, you may well be faced with a couch full of muddy paw prints if you get a dog that is quite large. Similarly, if you have a huge house and lots of tall furniture, a tiny dog may well get lost in the fray and feel stressed out in your home. Make sure that your home suits your dog as much as your dog will suit your family, and everyone involved will be happy. Do you need a specific breed of dog for your children? 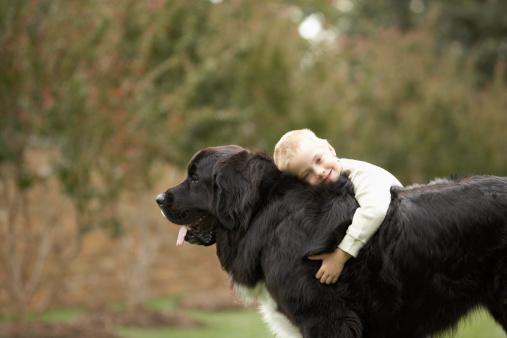 Whether a child is allergic to dogs, finds themselves fearful of large or small animals, or any number of other possibilities, making sure a child is comfortable with the new pet is incredibly important. Everyone wants a new dog to feel like a member of the family, and so everyone needs to embrace the pet fully to ensure a happy home. There is not one type of dog that is more or less suited for a f﻿﻿amily. Making the best choice for your own family is a task that should involve plenty of talking and questions asked to people who understand dogs. Making sure that you have a solid conversation around choosing a dog will help to ensure that you get a good pet. Answering for yourself the question of what is the best dog for a family means answering what is the best dog going to be for your family.